John Travolta, Katheryn Winnick, Jennifer Esposito et al. 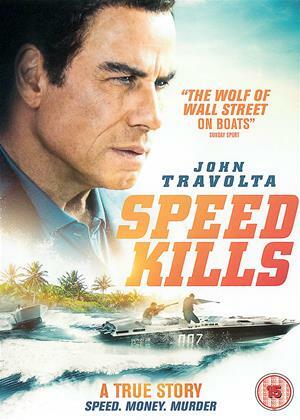 Based on the true story of one of Miami's most notorious businessmen and gangster's; 'Speed Kills' is a high-octane thriller, described as 'The Wolf of Wall Street on Boats'. John Travolta (Grease, Gotti), stars as a speedboat racing champion and multimillionaire whose secret life as a drug trafficker lands him in a deadly crossfire between the DEA and the Mob.